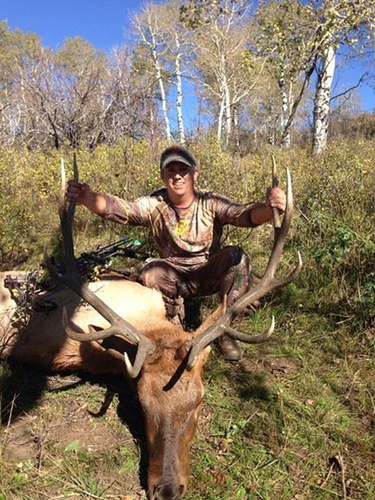 The Cherry Ranch offers big game hunts on private land with very high success ratios for elk, deer, and bear. Check out our website for photos, pricing, and more information. We are located right in the middle of the nation's largest elk herd. Our success ratios are very high, Sometimes Bordering on Perfection! All of our hunting is done in GMU area 23 on approximately 10,000 acres private and private access BLM. We have a large recreation permit on public grounds on which all or part of our operations may be conducted. Some licensing restrictions may apply, check with us first. You'll be at 6700 ft elevation at the ranch house and 9300 ft at the top.